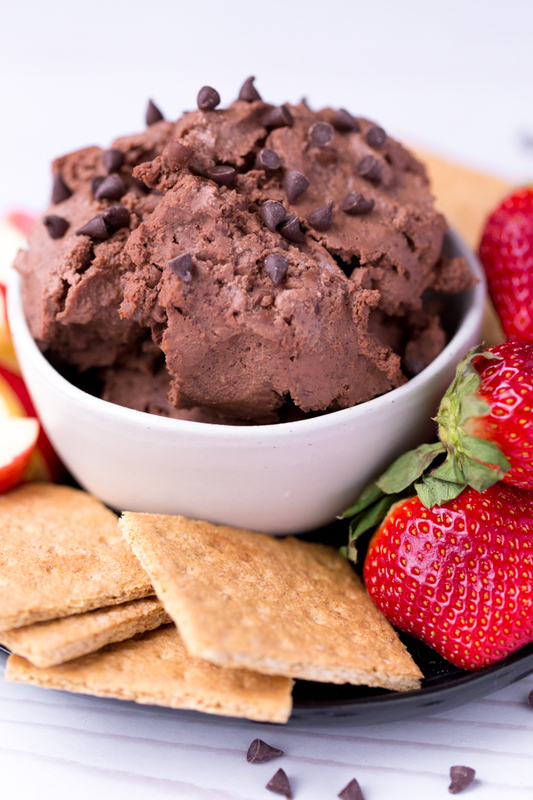 Chocolate Brownie Hummus is a healthy dessert made from black beans spread. Pairs perfectly with fruit, crackers, or pretzels! 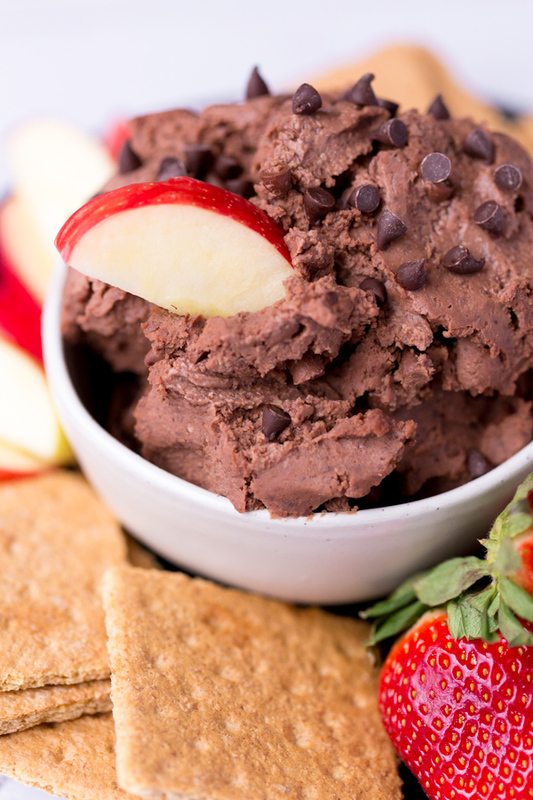 If you’re wondering what chocolate and black beans could possibly have in common, it’s dessert hummus. Yes, that’s a real thing. And yes, it’s a healthy dessert – free of gluten, dairy, and refined sugar and full of good-for-you protein, fiber, and omega-3 fats. If you’ve never tried a sweet version of hummus, you’re about to become a believer! Here, black beans are pureed with raw walnuts. 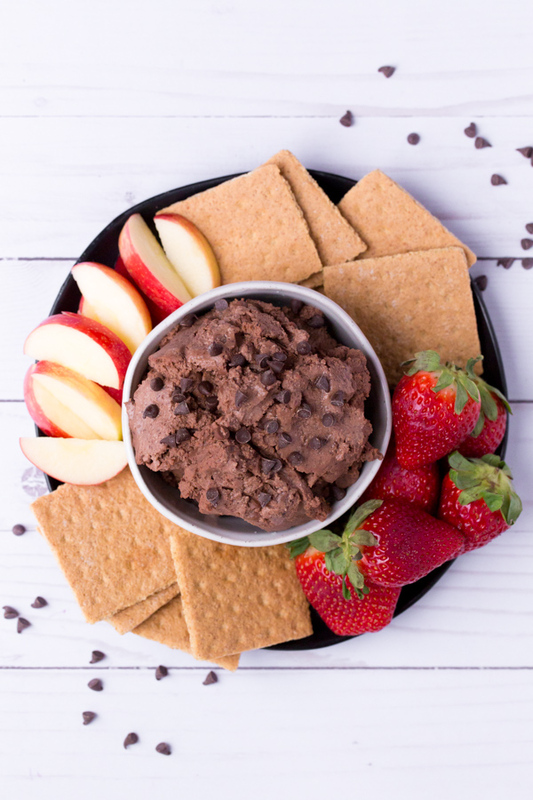 The “hummus” is flavored with cacao powder, vanilla, maple syrup, and sea salt with a bit of melted coconut oil to help everything come together and improve spreadability. Mini chocolate chips are folded in last for a little crunch. Extra chocolate is never a bad thing, am I right?! The texture of this hummus is a little chocolate-mousse like at room temperature. If you warm it up slightly in the microwave before serving, as I tend to do, the chocolate chips will get a little melty. A spoonful straight out of the fridge, also as I tend to do, is also good. 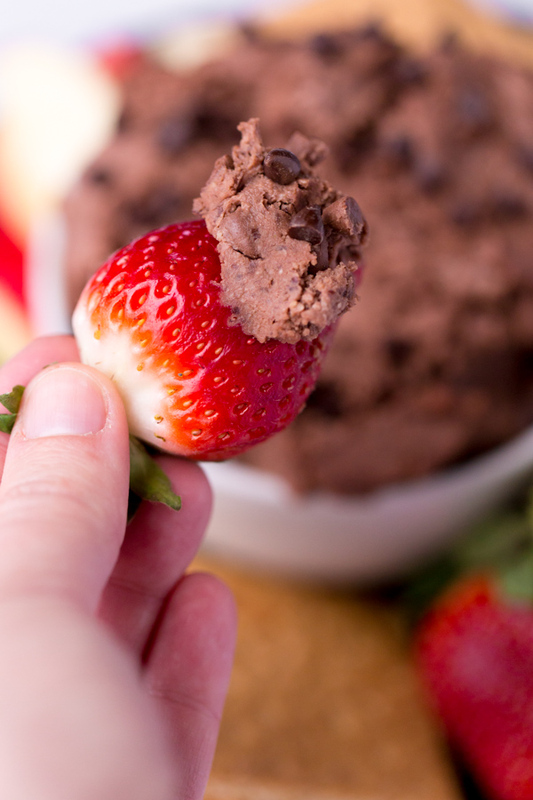 So really, whatever temperature you eat this brownie hummus at, you can’t go wrong! 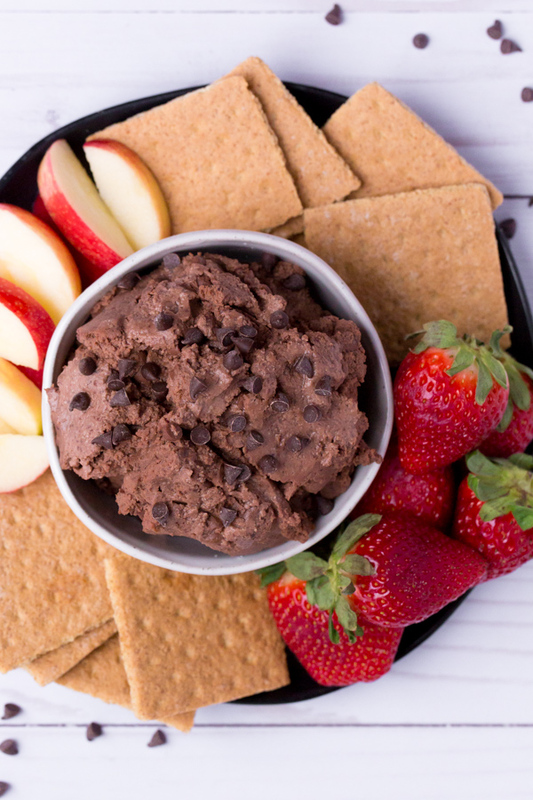 Serve the Chocolate Brownie Hummus at room temperature with fruit and graham crackers, as I did here, for dipping. Or try pretzels and/or marshmallows for dippers! Place all ingredients, minus the mini chocolate chips, in bowl of food processor fitted with blade attachment. Process until smooth, pausing to scrape sides of bowl as needed. Transfer hummus to serving bowl and fold in mini chocolate chips. Serve at room temperature. Store in refrigerator.